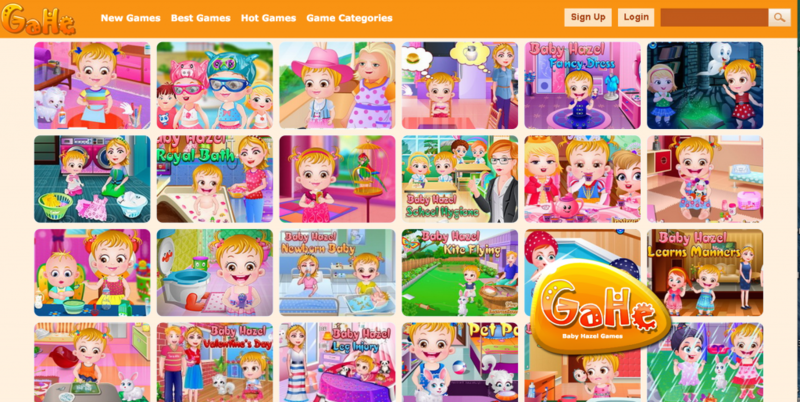 Baby-hazel-games.com is one of the biggest gaming websites for baby hazel. The site has over 3,500 Facebook shares and offers more than 60 fun games. These are a great pass-time for little girls and boys who love to watch baby Hazel. This site probably offers more games than any other website that you can find on this cartoon character. The site offers more than 500 baby hazel games that you can choose from and is very well designed which makes it really easy to find your favourite games. 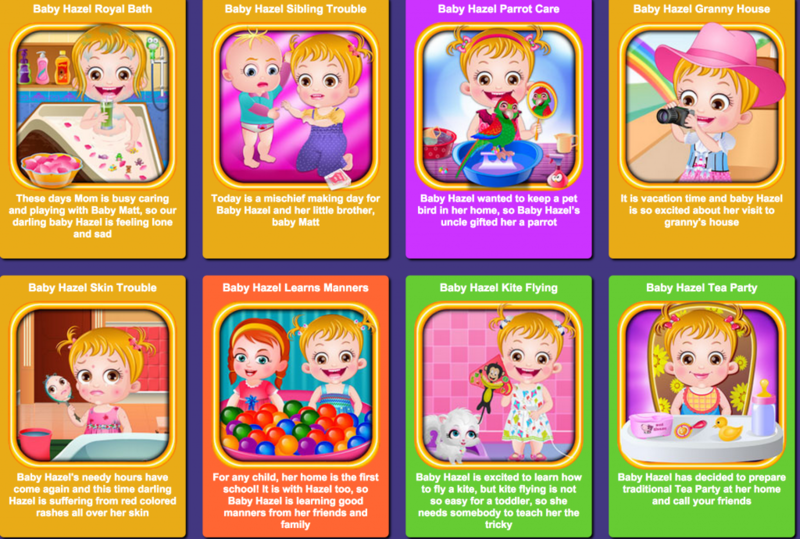 This is the official flash games site for Baby Hazel where the games are categorised as per their objectives. You can find anything from Learning games to baby care to Grooming and party games. The site is very well organised and you can even find mobile apps for iOS, Android and Amazon. This is a fun little site for some quick baby hazel games. The site offers just around 40-50 games but these games are well designed and fun to play. I think you’ll love the grooming category as there are a lot of fun games to be played there. BabyGames7 offers much more than just Baby Hazel. There are over 1000 games for kids that one can play on this website and are distributed among 20 different categories that range from Baby, dora, math, cooking, color to fishing. They also offer games like basketball, football, racing and puzzles for a bigger kids. Gahe.com offers a complete dedicated section of games to Baby Hazel.They have over 50 high quality games on this page and you can find pretty much every baby hazel game out there on this website. If you visit Gahe, I’m sure you will not be disappointed.